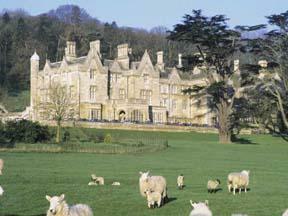 Choose from 145 hotels and guest houses in Gloucestershire. Shown below a just a selection of the hotels available. To search within an area please use the menu on the right. In a beautiful, peaceful setting, in a pretty village in the South Cotswolds, this 16th-century inn is rich in original character and traditional charm with a wood-beamed bar and a great restaurant. Near the historic town of Cirencester, the Crown of Crucis is a traditional English country hotel with a picturesque setting. The hotel stands beside the Ampney Brook, overlooking the village's cricket green. The 25 comfortable en suite rooms are attractively furnished in an elegant country-house style and overlook a central Mediterranean-style courtyard. Many rooms overlook the quiet stream and the cricket pitch. Carefully restored, the traditional bar boasts beautiful original features, including historic wood beams and open log fires. With a creative approach to food, the award-winning restaurant has developed a loyal following both at lunchtimes and in the evening. The varied menu features the finest, freshest local produce, prepared by a team of young innovative chefs. In attractive grounds, on the outskirts of Cheltenham, with easy access to the M5 motorway, this 4-star hotel offers excellent service and a heated indoor swimming pool. The Thistle Cheltenham hotel boasts an atmosphere of informality and quiet efficiency; perfect for business guests and leisure guests alike. The hotel is also conveniently located between Cheltenham, 3 miles (5 km) away and Gloucester, 4 miles (6.5 km) away. All of the en suite rooms are furnished to a high standard and include a range of modern amenities. Guests can also enjoy the Otium Health & Leisure Club, with a swimming pool, a jacuzzi, a sauna and a fully equipped gymnasium. In the grounds, there are two all-weather, floodlit tennis courts. The award-winning Burford Room restaurant offers international cuisine and an extensive wine list. An excellent range of conference and banqueting rooms are available, including the state-of-the-art executive suite, which can accommodate up to 400 delegates in complete privacy. Fully refurbished in 2009, this 17th-century English coaching inn still has many original features, such as old limestone walls, exposed wood beams and a cobble-stone entrance hall. 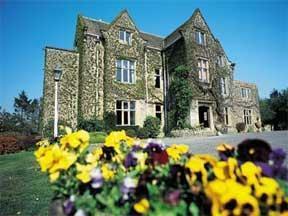 The 3-star (self-awarded) White Hart Royal Hotel is in the centre of the Cotswold town of Moreton-in-Marsh. Every room mixes the luxury of modern facilities with the building's historical feel. 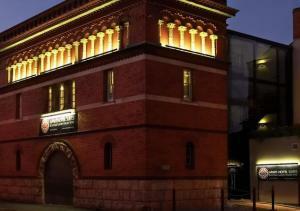 There is a bar with a range of traditional beers and fine wines. Food is available from 12:00 until 21:30, using locally sourced produce and served in the restaurant and spacious seating areas. The White Hart has an historic past: in 1644, King Charles I spent time here during the Civil War. Located in the centre of Cheltenham, this beautiful town house is perfectly positioned for shopping and exploring, and is privately owned by professional hoteliers offering a friendly and personalised service. This elegant Regency building, once owned by the Duke of Wellington, overlooks a quiet, residential, tree-lined square and is only a few minutes' walk from the centre of town and Pittville Park with the Pump Room. It is also only a 20 minute walk from the Racecourse and Centaur Conference Centre. The town offers a wealth of activities all year round, and this hotel is within walking distance of many of them. Beautiful villages, stately homes and gardens are within a short drive. New for 2008 the hotel now offers unlimited free Wi-Fi broadband access in all bedrooms and public areas. Please note this a non-smoking hotel. The luxurious Portland apartments are a 15-minute walk from the racecourse and a 5-minute walk from the stylish shops, restaurants and bars. This elegant serviced accommodation is in the heart of Cheltenham Spa and is a home from home for the business or leisure visitor; a place to relax, work or play. The apartments are exquisitely furnished to the highest specification. All have unique, stunning features. 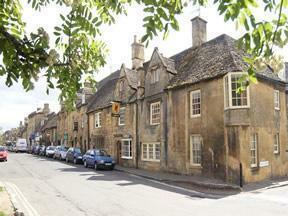 Portland Apartments is ideal for the Cheltenham Festival or a weekend away in the Cotswolds. 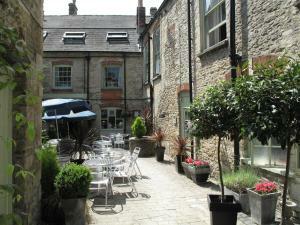 This 16th Century riverside hotel and restaurant is situated in the unspoilt Cotswold town of Nailsworth. The Egypt Mill Hotel provides the ideal setting for a memorable stay or a romantic meal in ageless surroundings. The Rosette Restaurant has a great local reputation with a wide choice of dishes to suit all tastes. Friendly service in relaxed surroundings makes for a memorable evening or lunchtime. In the summer, the patio and water gardens are open daily where you can enjoy a meal outside or a relaxing pre dinner drink. Upstairs, a great function facility caters for larger groups, private dining, weddings or conferences. In the bar, the carefully renovated and working mill-wheel is housed behind glass to be visible to all who eat here. This new, stylish, affordable place to stay in North Bristol features 36 contemporary double bedrooms with high-spec en suite facilities. Rooms also have a large work desk and free wireless broadband access, while free car parking is available to guests. For all day eating and drinking there is a Starbucks caf? lounge - the ideal place to meet colleagues and friends. You will find a great range of quality wines and a wide selection of continental bottled lagers. In the bistro, food is served from early till late, and you can opt for paninis, salads, authentic pizzas or pastas. Conveniently located for Gloucester train station and within easy reach of the M5, this Premier Inn is 3 miles (4.8 km) from Gloucester city centre. 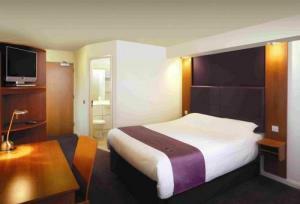 Gloucester North Premier Inn has an on-site Table Table restaurant, free parking and rooms with very comfortable beds. Meeting rooms are available. Some rooms at Premier Inn can take 2 adults and up to 2 children (under 16 years). The 2 children also get a free full breakfast when accompanied by an adult eating a full breakfast. The full all-you-can-eat breakfast has the expected cooked items, including vegetarian sausages, as well as a wide continental selection. Relax, sleep and eat in this grand Regency townhouse (guest house). Furnished in a contemporary style, it is ideal for a business trip or romantic break. Offering excellent value for money, The Cheltenham Townhouse has free broadband access, parking and an individually cooked breakfast from a specialist chef. It is perfectly set in a quiet, leafy town-centre location. Relax in the stylish atmosphere of The Cheltenham Townhouse. Sleep in one of its heart-warming comfortable bedrooms, all with first-class en suite facilities. Eat gorgeous breakfasts prepared from the very best local produce. This sophisticated Elizabethan manor from 1584 nestles at the side of the Cotswold Hills, with stunning gardens, fine dining, luxurious rooms and a historic yet stylish ambience. The Greenway was favoured by the late Queen Mother during Cheltenham Gold Cup Race Week. 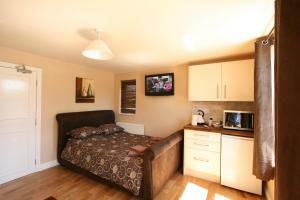 All bedrooms come with original wood furniture, new beds and vibrant soft furnishings. Some bedrooms are in the manor, and others are within the converted Coach House. The restaurant, lounges and bar have a elegance and welcoming feel from the moment you enter. A pre-Roman path runs beside the hotel and there are 8 acres of formal gardens to enjoy. The Greenway is less than 10 minutes' drive from the M5. Just 2 miles (3.2 km) from the bustling centre of Cheltenham and on the very edge of the Cotswold Hills, the Charlton Kings Hotel offers the best of both worlds. 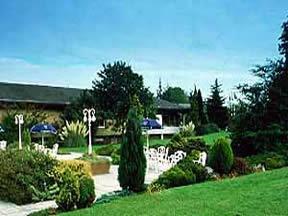 An attractive house set in an acre of lawn; the hotel is privately owned and run by your hosts, Stuart and Lin Doughty. During your stay here, they will endeavour to provide you with personal and friendly service in a warm and welcoming environment. With the hotel as a comfortable and charming base, you can take the short journey to the heart of Cheltenham. This historic spa town is famous for its architecture, its festival and, of course, horse racing. It also has plenty to offer in the way of theatres, restaurants and shops. Alternatively, you could leave the car in the hotel's car park and follow the footpaths into the beautiful Cotswold countryside. For good-value comfort in central Cheltenham, this Premier Inn is close to Cheltenham Spa Rail Station and is within easy reach of the M5 and A40. Cheltenham Central Premier Inn is next to a TGI Fridays restaurant, and comes with free parking and very comfy rooms for a good night's sleep. Some rooms at Premier Inn can take 2 adults and up to 2 children (under 16 years). The 2 children also get a free full breakfast when accompanied by an adult eating a full breakfast. 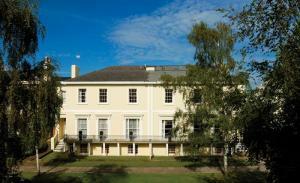 Local attractions include Cheltenham Museum and Art Gallery, and Cheltenham Racecourse. The all-you-can-eat breakfast includes the expected cooked items, including vegetarian sausages. There is also a wide continental selection. This traditional, ivy-clad country free house close to Bath has beautiful boutique rooms and is just 2 miles (3.2 km) from picturesque Castle Combe. The Old House at Home was once winner of the National Pub Caterer of The Year and now serves food highly commended by the AA. Badminton, home to the Badminton Horse Trials, is close to The Old House at Home. The gorgeous 5-star rooms have wet rooms, rain showers, plasma TVs, internet access and stunning soft furnishings. This hotel combines the charm and ambience of years gone by with modern comforts, ensuring your stay will be a memorable one. Built in the early 1830s by inn keeper Sampson Marshall, the London Inn has been serving the needs of travellers on the main London Road for decades. It quickly established itself as one of the main hostelries of Charlton Kings, catering for the needs of travellers and locals alike. It carries on that tradition today, with visitors welcomed into a warm atmosphere. The London Inn has been fully refurbished and boasts an excellent new menu, comfortable accommodation and the Old Ashley Court Room, which can be used for large or small functions for any occasion. 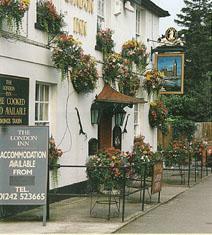 The Red Lion is a traditional Cotswolds inn with 5 rooms, located on one of the most beautiful High Streets in the UK. Oozing history and character, the Red Lion provides cosy overnight accommodation. A fine old Cotswold Inn full of character & charisma, with a mellow stone exterior, flagstone floors and exposed beams. Our Restaurant & Bar is an ideal place to dine with amazing food, real ales a good wines and a superb selection of Malt Whisky. Set in the beautiful Cotswolds countryside, Charingworth Manor is a 14th-century manor house in 54 acres of grounds, providing the perfect base from which to explore the picturesque area. Charingworth Manor boasts a luxurious Leisure Spa, indoor heated swimming pool, sauna, steam room and solarium. There is also a fully-equipped gym, an outdoor tennis court and a helicopter pad. Guests will enjoy scenic walks in the attractive gardens. The John Greville Restaurant serves excellent AA Rosette standard cuisine, using local produce, in elegant, intimate surroundings. Each spacious room is furnished with antiques and fine fabrics, with en suite facilities and a plasma-screen TV. Some rooms have charming period features and boast wonderful views of the Cotswold countryside. In the centre of picturesque Chipping Camden, The Kings Arms is a 17th and 18th-century listed town house in the beautiful Cotswolds, combining traditional character with contemporary style. There are stylish en suite bedrooms in the main hotel and a few new, refurbished luxury bedrooms located in the newly renovated cottage. All rooms have a flat-screen TV and luxurious toiletries. The Kings Arms has a cosy, welcoming restaurant that serves AA Rosette standard cuisine that is locally sourced. During the summer months, guests can dine al fresco in the terrace or gardens. The friendly and informal bar is great place to socialise and enjoy drinks or snacks. Nestled amid 19 acres of gardens and woodland, this 19th century country house provides the ideal base from which to explore the rolling hills and hidden valleys of the Cotswolds. Set in the beautiful Worcestershire countryside, surrounded by stunning views of Bredon Hill, Cotswold Hills and Broadway Tower, this impressive mansion offers a warm welcome with its magnificent oak-panelled lounge, comfortable bar and restaurant. For business events and special occasions, the hotel provides 2 individually styled function rooms, one of which boasts a dance floor, suitable for up to 100 people. Fully refurbished in 2009, these individual studio bedsits have free Wi-Fi, free parking, small, well-equipped kitchen areas and shared bathroom facilities, tiled in travertine and marble. Every room at Castle Studios Gloucester Rd has solid oak flooring, solid oak worktops and an LCD flat-screen TV with Freeview digital channels. Each room has a small kitchen area in the room with a full-size fridge, a kitchen sink and a microwave. Plates and cutlery are provided. The shared bathrooms have high-quality power showers. There are also some rooms with their own showers. The Castle Studios are only a few hundred metres from Cheltenham Spa Railway Station. There is no reception, and key-code entry is required. Instructions will be emailed at time of booking and key codes will be texted to your mobile on day of arrival. If you have no mobile, please contact Castle Studios for instructions on day of arrival. At The Ormond at Tetbury we have everything you've been looking for: great style, award-winning food, a fantastic bar, friendly and professional service and exceptional value in the centre of the town. We aim to make your stay as relaxing as possible, whether you're with children, or on your own. We are privately owned and set high standards. We want you to enjoy your room; the atmosphere in our newly refurbished bar; have a great meal in our candlelit restaurant and a drink in the courtyard. Since your sleep is the most important thing, we've added a touch of luxury to our rooms with quality goose-down duvets and bedding. If you need extra relaxation we have teamed up with Cherish Spa, just 5 minutes away, where exclusive, special-value packages are offered. Convenient and comfortable, Premier Inn Gloucester (Barnwood) is 2 miles from Barnwood town centre and within easy reach of the M5. Local attractions include Fosse Park Shopping Centre and Grand Union Canal. Gloucester (Barnwood) Premier Inn is next to a Chef and Brewer restaurant and has free parking and rooms with very comfy beds. Some rooms at Premier Inn can take 2 adults and up to 2 children (under 16 years). The 2 children also get a free full breakfast when accompanied by an adult eating a full breakfast. The full all-you-can-eat breakfast has the expected cooked items, including vegetarian sausages, as well as a wide continental selection. Riverside House offers modern and comfortable accommodation just 10 minutes' walk from the centre of the historic market town of Cirencester, also known as "The Capital of the Cotswolds". There are excellent road links and easy access to the M4/M5 and the many local attractions. 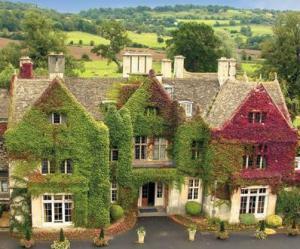 Riverside Hotel is independently managed and offers a wonderful, inexpensive base from which to discover The Cotswolds. Contemporary country house set in 5 acres with beautiful views of classic Cotswold countryside. Very nice staff. Award winning food served in our splendid brasserie and restaurant. Play boules or croquet in our grounds. From some of the high stone-sided windows, you can enjoy a view of a landscaped garden with a sunken lily pond and old-fashioned sundial. Inside, the interior is conservatively modern, with homey bedrooms. Some are large enough for a family and others have a four-poster bed. Five bedrooms, equal in comfort to the main building, are on the ground floor of a converted house on the grounds. Bathrooms are well organised, mostly with a shower-tub combination. At the centre of a traditional countryside scene, this 16th-century hotel in the High Street has been named a conservation area. Charles II once stayed here. 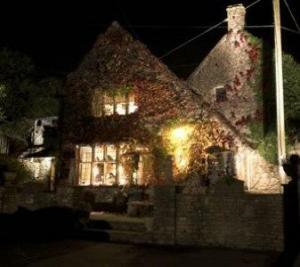 Noel Arms has a cosy bar with log fire, and a restaurant menu featuring Cotswold produce. A coffee shop is soon to open. Chipping Campden is one of the most famous and best-loved towns in the Cotswolds, and it can be explored from this charming hotel.See pretty Cotswold stone buildings and the town's 14th-century church.